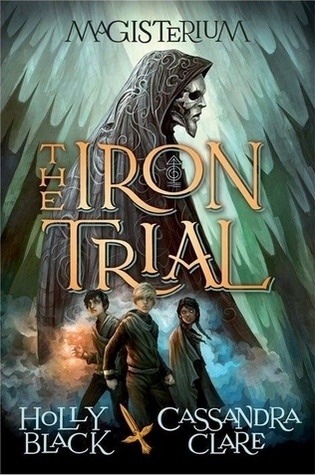 The Iron Trial, book one in the Magisterium series by Holly Black and Cassandra Clare, is a nominee for the 16-17 South Carolina Children’s and Junior Book Awards. What kid wouldn’t want magical powers? What kid wouldn’t want to attend the Magisterium, a super-secret school to learn how to use those abilities? Callum Hunt, that’s who. 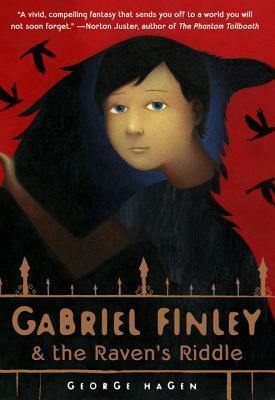 For as long as Call can remember, his dad has told him that the Magisterium is evil and that he must do whatever it takes to fail the Iron Trial, a series of tests used to determine who earns a place at this magical school. And Call does his best to fail…and it looks like he’s succeeded. He fails spectacularly and gets the lowest possible marks at the Iron Trial…but he’s selected for the Magisterium anyway. Not only is he accepted; he’s with one of the best mages, in the group with the most gifted apprentices. What’s going on here? Why would anyone want him as an apprentice? What is so special about Callum Hunt, a kid with a bum leg who wants to be anywhere but here? As Call begins his Iron year at the Magisterium and learns more about magic, he begins to wonder just what his dad had against the school and magic. Call is learning so much…and he’s actually getting pretty good at his studies, despite his rather horrible start. His fellow apprentices, Aaron and Tamara, soon become his closest friends, and that’s kind of a big deal to a kid who really didn’t have friends before now. Call is becoming more and more comfortable with himself and his abilities, so he’s eager to learn just why his dad didn’t want him here. Since Call is a curious sort with a certain disregard for rules, Call begins to investigate. He stumbles upon a few things that might answer some questions…or they might create even more. It seems that Call’s past is tied to the most feared being in the magical world, the Enemy of Death. This figure, cloaked in mystery, is responsible for the deaths of many, many mages–including Call’s mother–and he’s still out there, biding his time until he can use the forces of chaos to rise to power. The Magisterium has recently discovered its own weapon in the coming war with the Enemy…but will that be enough? What if the Enemy has already infiltrated the Magisterium? What will that mean for the Magisterium then? And what does all of this have to do with Call? Caution: Read the first two books in Alyson Noël’s Riley Bloom series, Radiance and Shimmer, before continuing! All of the good things I’ve said about Radiance and Shimmer definitely apply to Dreamland as well, and I’m sure the same will be true of book four, Whisper. 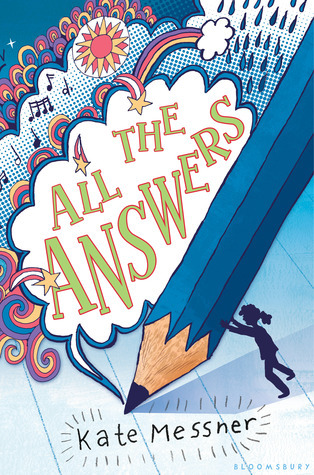 In each of these books, we learn more about Riley Bloom, a twelve-year-old Soul Catcher who is learning the ropes in the Here and Now (the author’s version of Heaven). It’s not always easy for Riley, especially since what she wants most in the world is to be thirteen—a feat somewhat difficult to accomplish since she died when she was twelve. Like most twelve-year-olds, Riley is very self-centered, but she’s also lonely, afraid, and still kind of stuck in the life she left behind, particularly her relationship with her big sister, Ever. So far, she’s avoided any real trouble with the Council (the “governors” of Here and Now), but her guide, Bodhi, is pretty sure her luck will run out eventually. When Riley and Bodhi are ordered to go on a vacation after their last fiasco (which Riley would point out ended remarkably well), Riley doesn’t know what to do with herself. Her work is her afterlife. She doesn’t have any friends other than her dog, Buttercup. Her family has moved on. Bodhi appears to have a girlfriend. So what is there to do? Well, she could pay her sister a little visit. Even though she’s warned against it, Riley decides to visit Dreamland, a place where she can enter her sister’s dreams, communicate with Ever, and finally learn what it takes to be a thirteen-year-old. But Dreamland is not without its dangers, and Riley may not be prepared to face them. Riley’s tendency to leap before looking might just land her in more trouble than she can handle. Can Riley break through the nightmare she finds herself in? Will she learn what it really takes to grow up in the Here and Now? Or is she doomed to remain a child—with a child’s fears and immaturity—forever? Is growing older possible for Riley, or is that yet another dream that remains out of her reach? 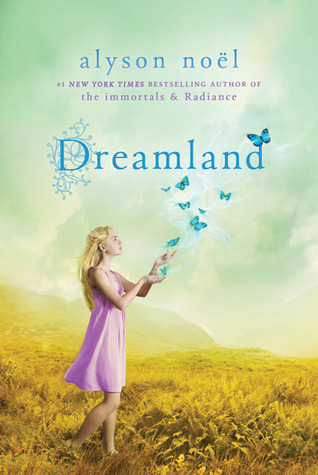 Read Dreamland by Alyson Noël to find out! Dreamland is yet another book that is great for upper elementary, middle-grade, high school, and adult readers. There’s something for everyone to enjoy (and, more importantly, there’s something everyone can learn). I look forward to reading more of Riley Bloom’s adventures in Whisper. The Graveyard Book, in a nutshell, is Rudyard Kipling’s The Jungle Book with a twist. Instead of a little boy being cared for by jungle creatures, he’s cared for by inhabitants of a graveyard, namely ghosts. Nobody Owens, Bod for short, is just a baby when his parents and his sister are brutally murdered. He is the only survivor, and the man who killed his family wants to kill Bod, too. When young Bod stumbles into the local graveyard shortly after the death of his family, the ghostly inhabitants agree to take care of the young boy until he reaches adulthood. Bod is given freedom of the graveyard. He learns to disappear, or fade, at will. He receives lessons in reading, writing, mathematics, and history from ghosts who know of such things. His mysterious guardian, Silas, provides him with food, clothing, and other things required by the living. Bod goes exploring within the graveyard and encounters friendly and not-so-friendly beings, but he is not allowed outside of the gates. If Bod ventures into the world outside the graveyard, he becomes vulnerable to the man Jack who killed his family and is still looking for Bod. As Bod grows up, he gradually recognizes a desire to see the world and to seek revenge for the wrongs committed against his family. He chafes against having to always remain within the confines of the graveyard. What will become of Nobody Owens? Will he get his revenge on the man Jack? Will he be an inhabitant of the graveyard forever, or will finally join the land of the living? 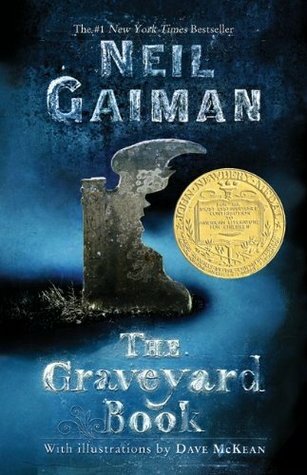 Read Neil Gaiman’s masterpiece, The Graveyard Book, to find out how one boy bridges the gap between the living and the dead.